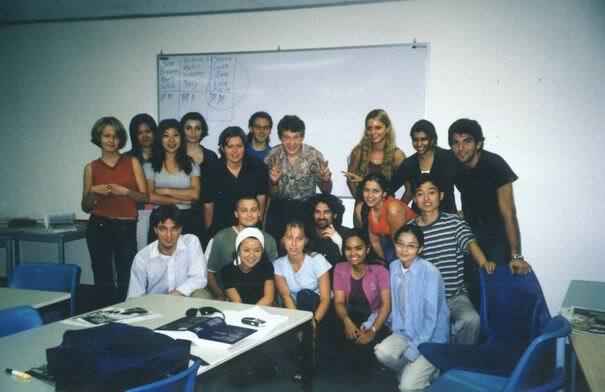 Central College - Sydney, general English course class with our teacher David in the middle. Central College at George St., Sydney, our class of general English with teacher David in the middle, who loox like Jesus. In charge of Russia (Nadežda, Jana, Nikolaj, Maria), South Korea (Terry), Slovakia (Stanka, Matús, Silvia, Jaronator, Victoria, myself), Columbia (Luisa-Fernanda, Jose, Victoria), Thailand (Suppanai).